Zhiguo He serves as a Professor of Finance, PhD area advisor, and Faculty Director of Fama-Miller center at the University of Chicago, Booth School of Business. He is also the Special-term professor at Tsinghua University, School of Economics and Management. His main research interest lies in the implications of agency frictions and debt maturities in financial markets and macroeconomics, with a special focus on contract theory and banking. He is also conducting active academic research on Chinese financial markets. 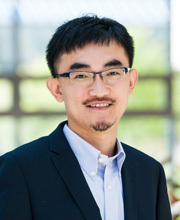 Before joining the Chicago Booth faculty in 2008, he was visiting the Bendheim Center for Finance at Princeton University as a post-doc fellow.